Recent studies report that more than one in four U.S. renters have to spend at least half their family income to pay for housing and utilities. That’s the finding of an analysis of Census data by Enterprise Community Partners, a nonprofit that helps finance affordable housing. The number of such households has jumped 26 percent to 11.25 million since 2007. Since the end of 2010, rental prices have surged at nearly twice the pace of average hourly wages, according to data from the real estate firm Zillow and the Labor Department. Is it better to buy a home or rent? The crisis reflects one of the shortcomings of the recovery from the Great Recession: Income has failed to match rent increases. At the same time, construction has failed to keep pace with demand from renters. The recession pushed more Millennials, former homeowners who faced foreclosure and low-wage workers into rental housing. A result is that 2.3 million more families face pressures that leave them perilously close to homelessness. It’s a reality faced by Lisette Duarte, a 37-year-old living in a two-bedroom apartment with her family in northeast Los Angeles. Duarte’s husband lost his job as an electrician more than three years ago. With both their son and daughter on the autistic spectrum and in need of care, he chose to stay at home while she worked a job requiring a 90-minute commute each way. The lost income forced them out of a three-bedroom house and eventually into a hotel, where vouchers over the course of five months helped them save for a security deposit for an apartment. About a year ago, the family moved into a two-bedroom apartment in the Highland Park neighborhood where Duarte had grown up. Two-bedrooms in that gentrifying community rent for an average of about $1,600 a month, according to the online service Apartment List. The expense, along with utilities, consumes half of Duarte’s paycheck. The government defines housing costs in excess of 30 percent of income as burdensome. The family relies on prepaid cellphones. They don’t dine out or go on vacations. Whatever extra income they have often goes for health care. More than 30 percent of renters in California, Florida, New Jersey and New York statedevote at least half their incomes to housing and utilities, according to the analysis. Other than Alaska, South Dakota and Wyoming, at least 20 percent of renters in every state face similarly high costs relative to income. The analysis was developed for a “Make Room” awareness campaign sponsored by Enterprise Community Partners. As part of the campaign, pop stars such as Carly Rae Jepsen of “Call Me Maybe” fame, who sang for the Duartes, are performing concerts in the homes of financially distressed tenants. Enterprise Community Partners’ analysis dovetails with findings from other organizations. The U.S. Department of Housing and Urban Development has estimated that 12 million renters and homeowners spend at least 50 percent of their income on housing. And Harvard University’s Joint Center for Housing Studies found in a 2013 report that roughly 27 percent of renters were devoting half their incomes to rent. Those levels were “unimaginable just a decade ago,” the report said. 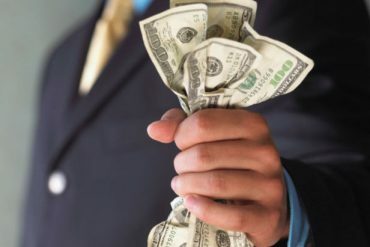 Average hourly wages have risen just 2.1 percent in the past 12 months, according to the Labor Department, while rental prices have climbed 3.7 percent, Zillow said last week. Many renters lack the income to pay the cost of maintaining and operating these buildings, said Barry Zigas, director of housing policy at the Consumer Federation of America and a trustee at the nonprofit Mercy Housing. 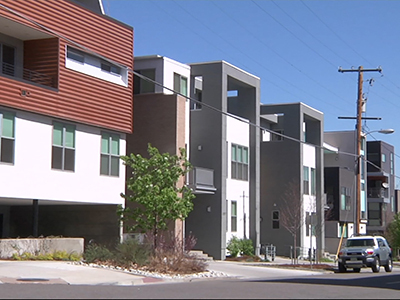 Mercy Housing has a portfolio of 12,000 units for low-income people and senior citizens. It costs an average of roughly $500 a month to manage each unit, Zigas said. A monthly rent of $500 would mean that anyone working full time for a minimum wage would devote more than a third of his or her income to housing. Either the tenants must fork over a greater share of their pay each year or landlords may let buildings fall into disrepair. 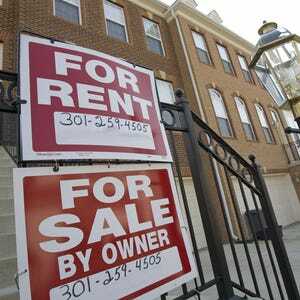 “Low-income renters are getting caught in a total squeeze play, as are the owners of the properties,” Zigas said. The Great Recession caused waves of foreclosures and layoffs that pushed more Americans into renting. 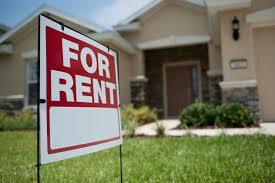 More than 36 percent of people now rent, compared with 31 percent before the recession began in late 2007. The increased demand has yet to be matched by construction and renovations. In March, the National Low Income Housing Coalition reported a shortage of 7.1 million apartments for low-income renters. The shortages are most pronounced in Nevada, California, Arizona, Oregon, Florida, Colorado and Utah. Construction firms are building apartment complexes at an annual pace of roughly 321,333 this year, according to the Commerce Department. The rising rental prices suggest that construction hasn’t kept pace with demand, according to economists. For renters such as Duarte, the plan is that her husband can eventually return to work as their children reach adulthood, easing some of their financial pressures. “I hope that we never encounter homelessness again,” she said.